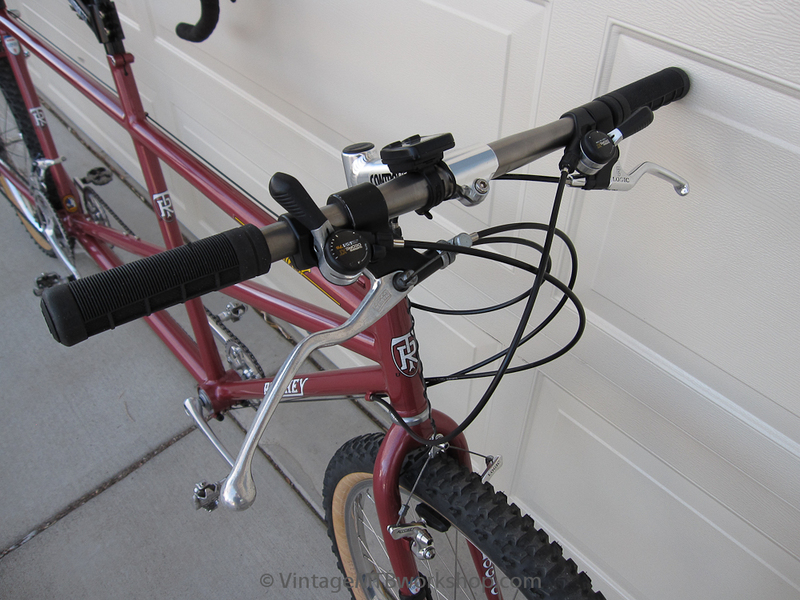 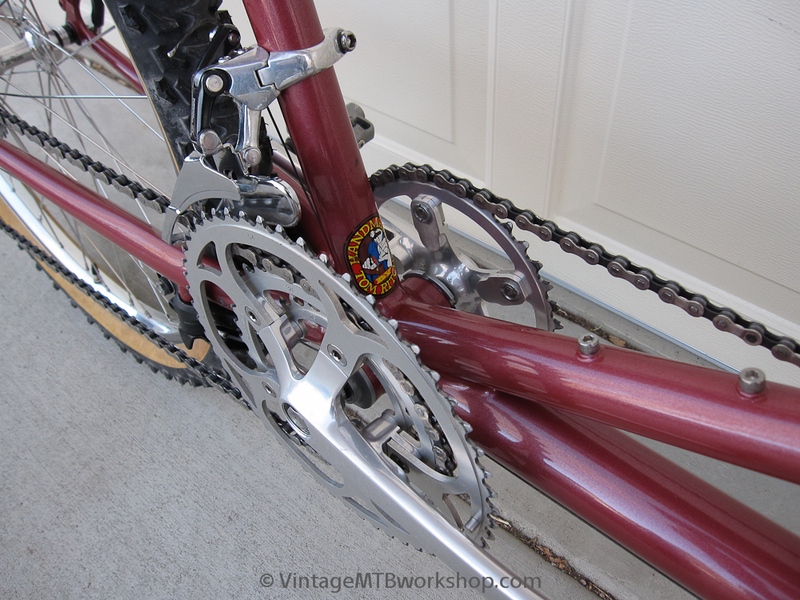 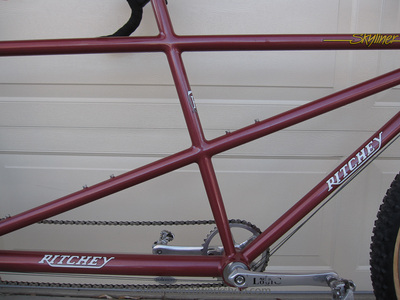 For decades Tom Ritchey has produced some of the most functional and beautiful tandems available. 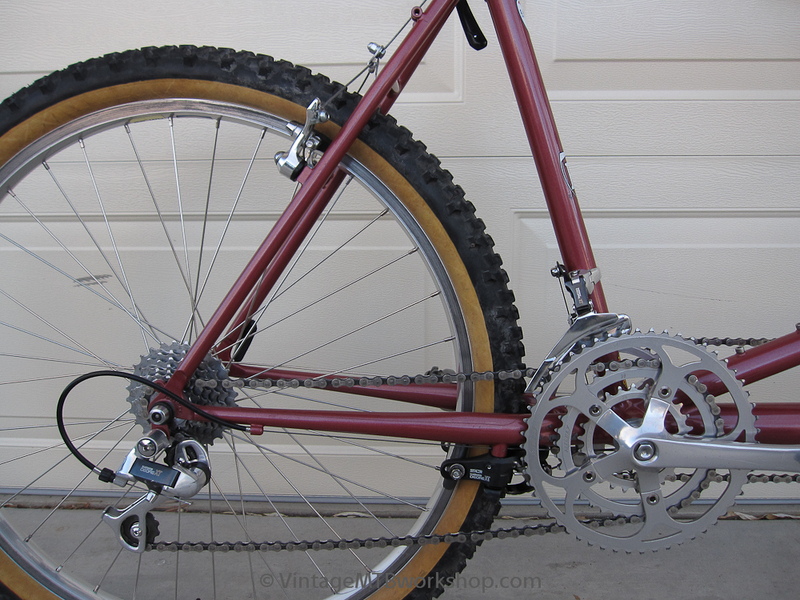 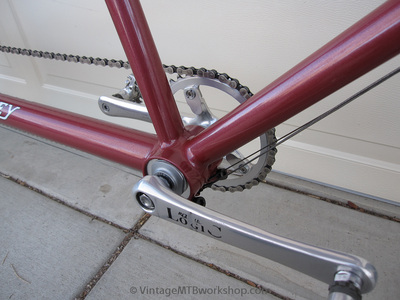 The Skyliner is named after Sky Line Boulevard near Tom's shop, and was designed for rigorous mountain biking in the early 1990's with over-sized frame tubes, three brakes, wide gearing, and clearance for big tires. 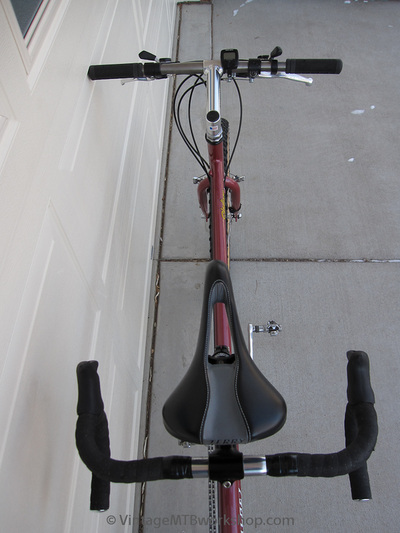 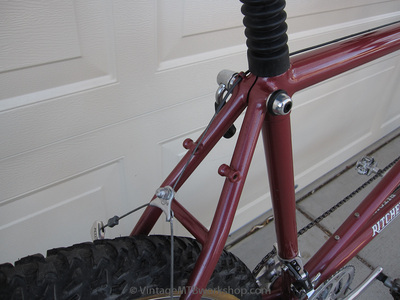 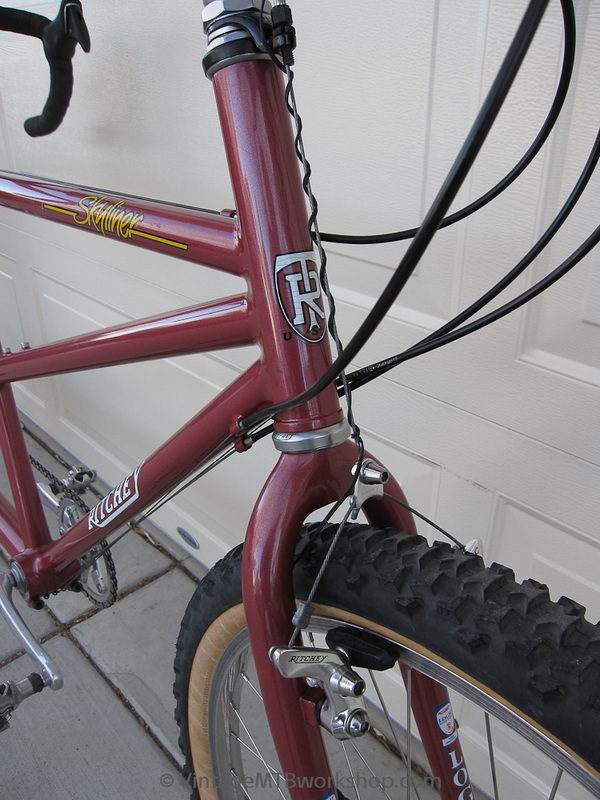 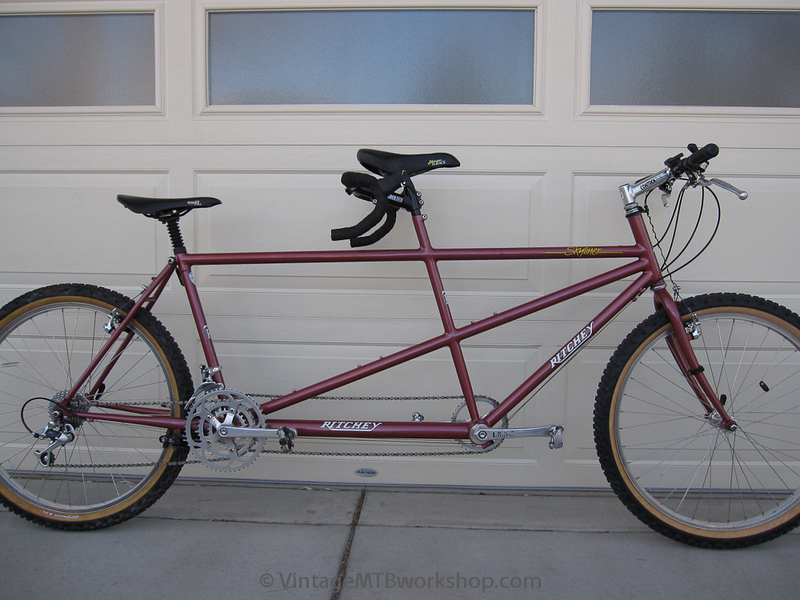 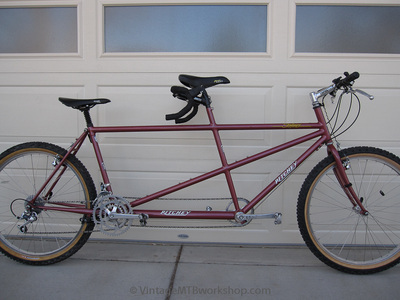 The tall headtube that appears on some Skyliners appears to be recognition that the riding position of the captain on a tandem is different than a single bike. 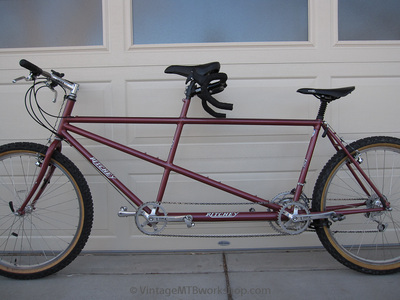 Vision of the trail, the ability to maneuver the bike, and sustained time in the saddle are all valued attributes of a good tandem. The bike uses a motorcycle double brake lever with an equalizer link to simultaneously actuate both the rear cantilever and U-brake for increased stopping power. 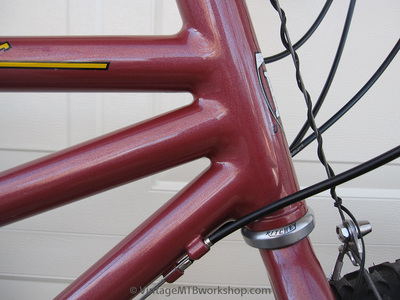 Tom's fillet-brazing work through the frame's construction is second to none.